It’s finally spring! The sun is peeking through, tiny birds are chirping, and trees are starting to bud. Today, we’re spotlighting lovely spring weddings and sharing our tips for how to stay warm, look stylish, and absolutely glow on your big day! 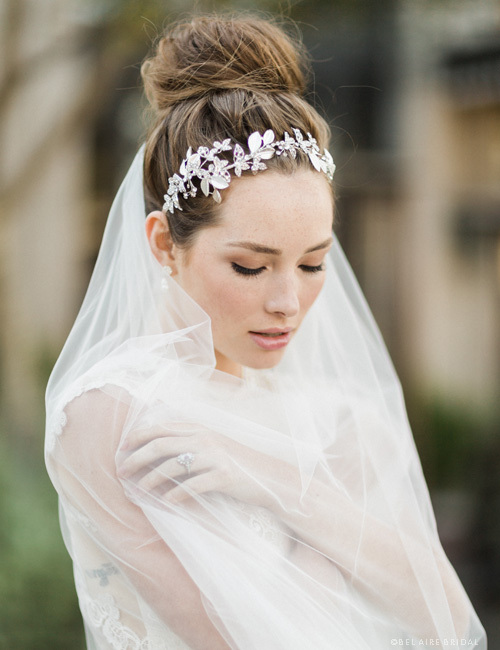 There’s nothing like a whimsical veil to add glorious beauty to your bridal look. 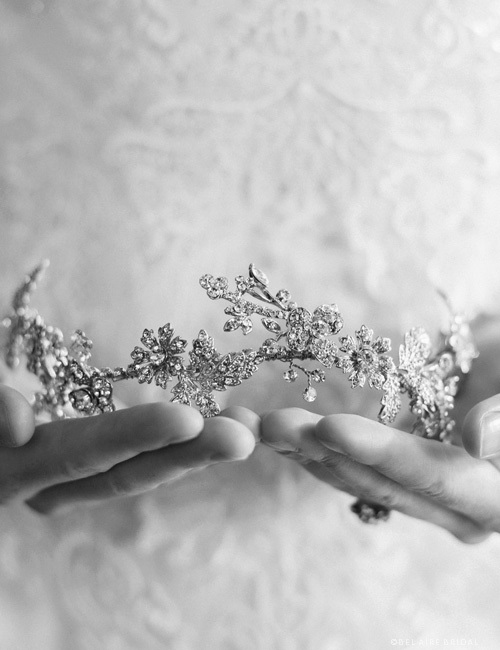 Even if you’re not a head-over-heels romantic bride, this lovely accessory is a must-have when it comes to your ceremony and bridal portraits. This is also a great opportunity to express your personal style. 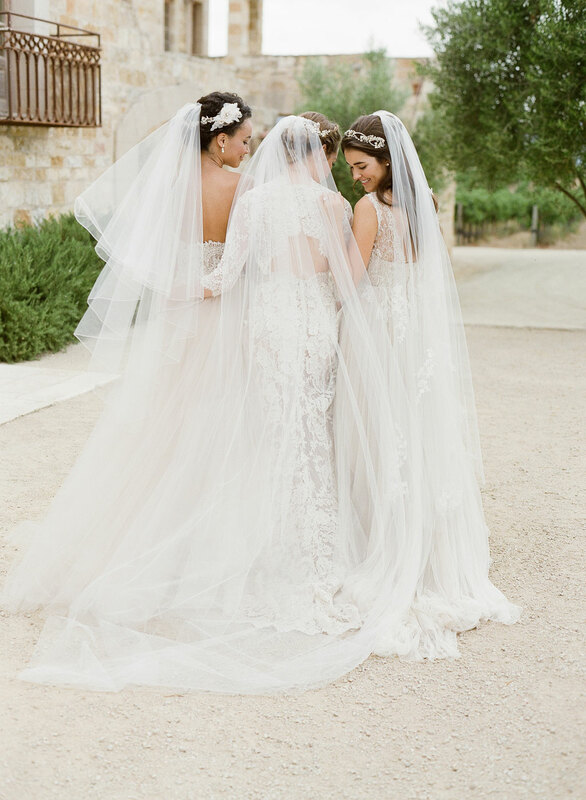 Choose a soft floral lace for a touch of romance; lace appliqués or more structured Alen­çon lace for a traditional look; rhinestones or beads for fairy-tale sparkle; and a clear cut edge or light rolled edge veil for sheer elegance. Short or long, you can find a design that is totally you. Spring weather can be pretty unpredictable. Sure, your groom will give up his suit jacket so you don’t freeze, but do you really want to cover up your gorgeous gown—and leave him shivering? Plan ahead by choosing a light shawl, bridal jacket or bolero, or a cute wrap. Even if it doesn’t rain, you can use it for your getaway or even honeymoon! 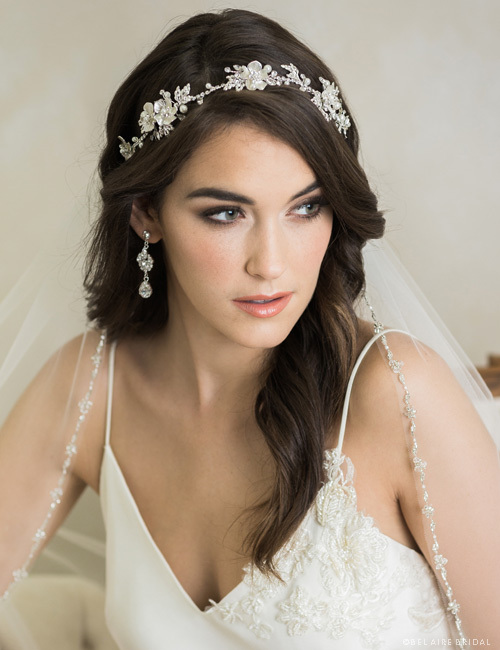 More bridal salons are offering these accessories in a range of styles—from 3D flowers on organza to intricately beaded cover ups to silky scarves, so pick one that will keep you looking beautifully bridal. Whether you’re getting married inside or outdoors, you’ll want at least two pairs: one for your walk down the aisle and one for the reception. 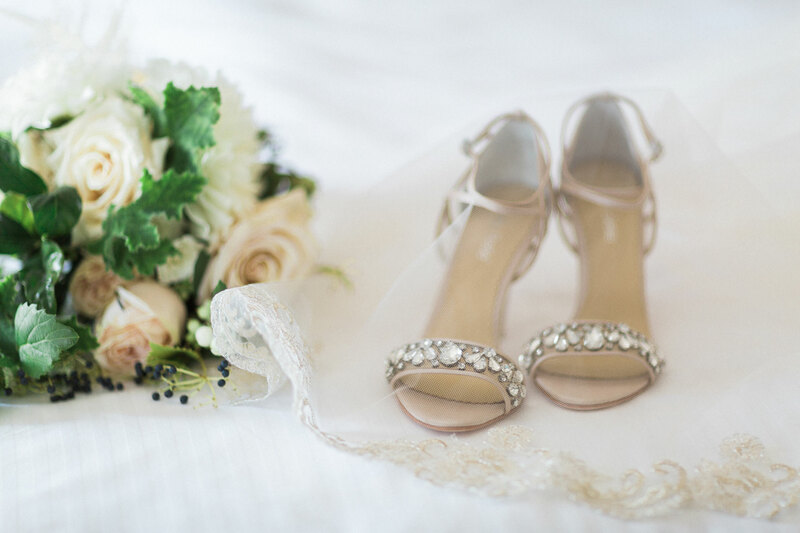 Typically, it’s best to choose a wide heel for outdoor ceremonies and formal heels for weddings inside. Reception shoes can be anything that you are comfortable dancing in for at least a couple hours—choose something attractive yet cushiony (like a flat) that you can rely on. If it rains, it’s not a bad idea to bring an extra pair of sneakers—some brides even wear boots! Lots of great photo opps revolve around shoes, so play around and have fun. Florals, bling, and bold colors offer you a range of options. 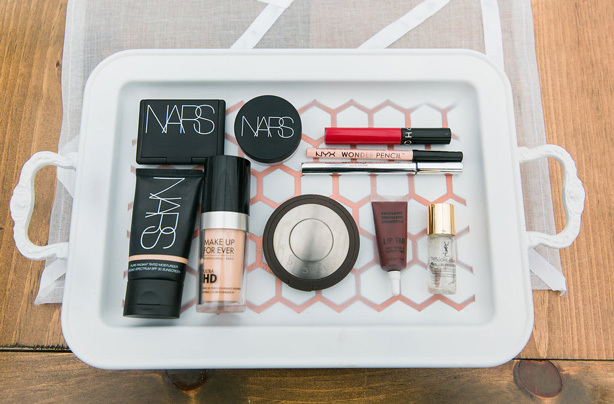 Every bride should have an emergency kit for touch-ups. After all, people will be taking photos of you literally the entire day—and probably into the night, depending on how long your reception lasts. A concealer, powder, blush, mascara, lip gloss, and lip stick are pretty standard. Make sure to include oil blotting pads or wipes, makeup remover, a comb, and spare pins. Between the ceremony and reception is a good time to sneak away to touch up. Spring is the perfect season to grace your hair with gorgeous flowers! 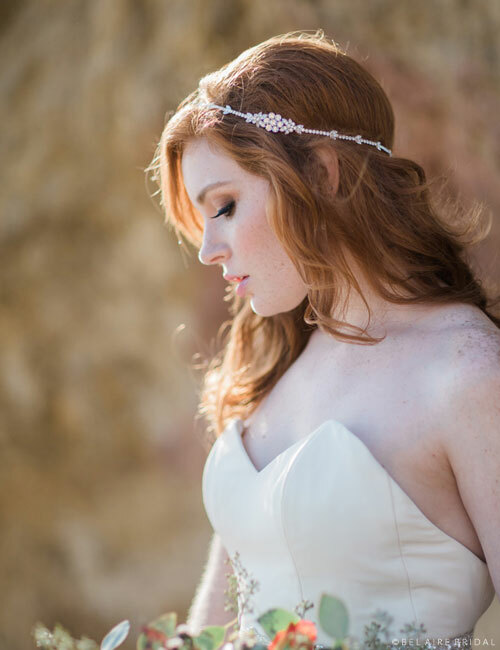 You can incorporate the beauty of nature with any number of headpiece options. 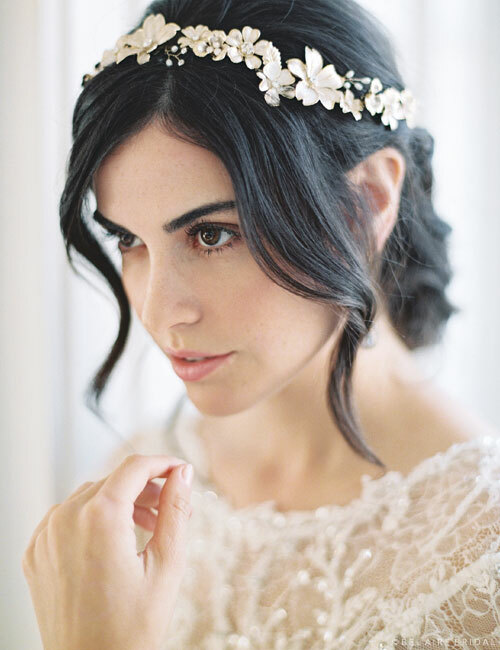 If you’re wearing lace, try a soft fabric flower comb or headband with delicate floral details. To jazz up a simple dress, enhance your ensemble with a sparkly hair vine or vintage-inspired comb. If you’re featuring gold in your look, choose painted gold leaves or metallic flowers. Going boho-chic? Try on a dazzling rhinestone halo. Keep looking until you find that perfect treasure for your big day. Are you getting married in the spring? 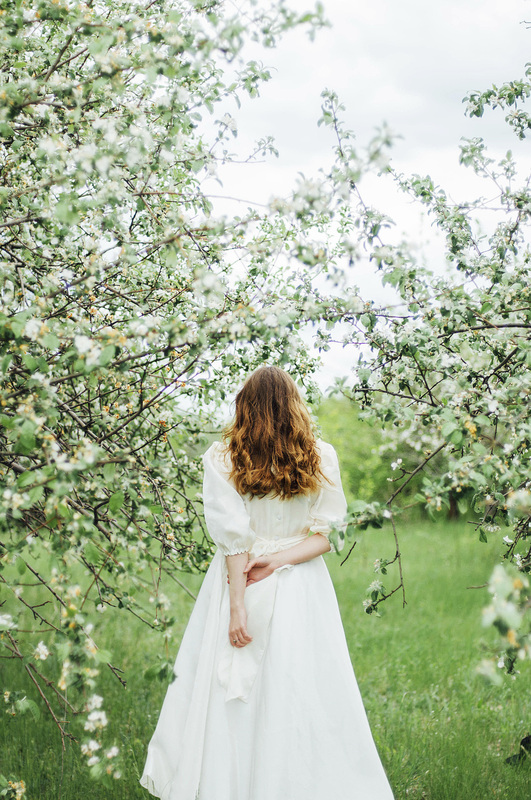 Check out our Instagram feed for seasonal bridal inspiration! Getting married this spring or summer? Style your hair with gorgeous flowers! The floral trend hit big in 2016, and we anticipate that more brides will choose beautiful blooms in 2017. Feminine, romantic, and everlasting, floral hair accessories coordinate perfectly with the bohemian prints and off-the-shoulder gowns trending NOW. 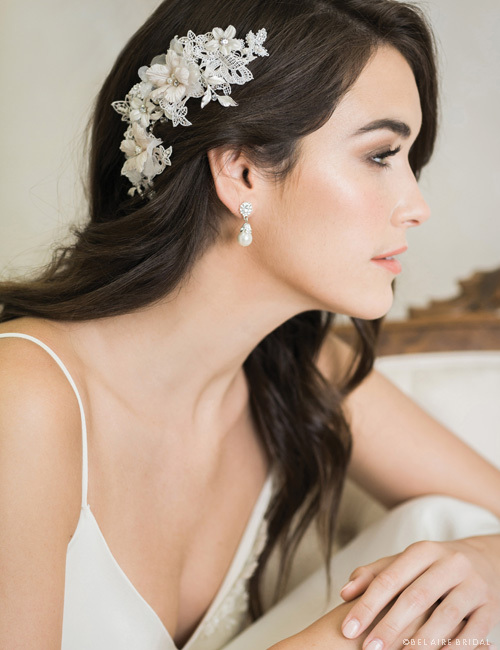 Check out these six pin-worthy flower headpieces, and find your favorite in a bridal salon near you! Blushing beauties, feast your eyes! This pretty flower accessory features glittering silver rhinestones and pearl accents amongst soft organza petals. You can style this design as a tie headband or pin it into the back of your updo. Enchant your locks with gilded, everlasting flowers. This lovely tie headband features pearls and crystals with petite metallic blooms. Choose this design in silver or gold to coordinate with your other accessories. Develop a new crush! This fabric flower halo features packed petals all the way around in a realistic wreath. Perfect if you have allergies (or just want to keep your flowers), this nature-inspired design channels your inner goddess. Ready to fall in love? 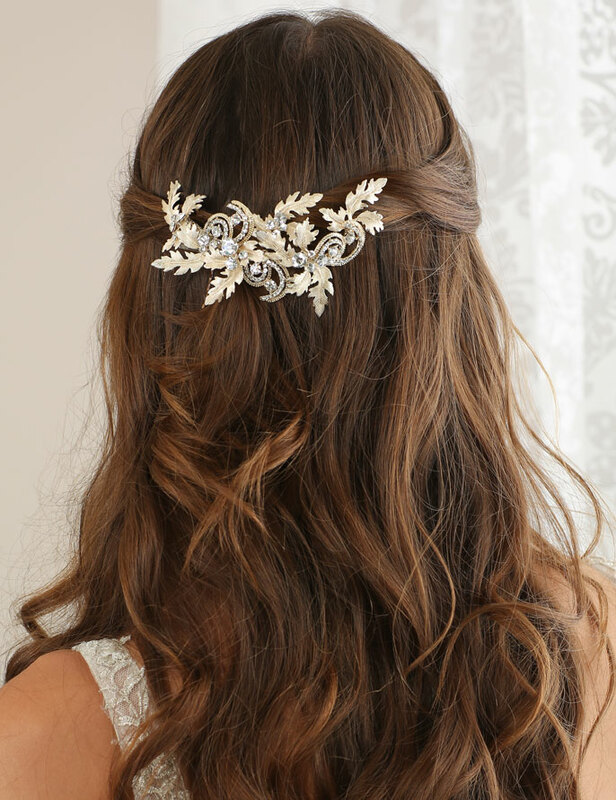 This gorgeous halo of open roses glitters with rhinestone accents and tiny leaves, encircling your hair in a wreath. Again, this design is perfect if you want a natural, boho-look without using real flowers. Enrich your bridal outfit! A flexible garland of gilded petals glides across your hair. Perfectly coordinating with silver or gold jewelry, this lovely accent piece ties in the back. Who knew flowers could look so elegant? Express ethereal beauty and femininity. This romantic flower tie headband features organza petals with clustered rhinestone centers. Perfect for taming tousled tresses, this lovely design is equally at home with or without a veil. Want to see more? Check out our Flower Headpieces page, and follow us on Instagram for styling ideas! Today is the first day of spring! 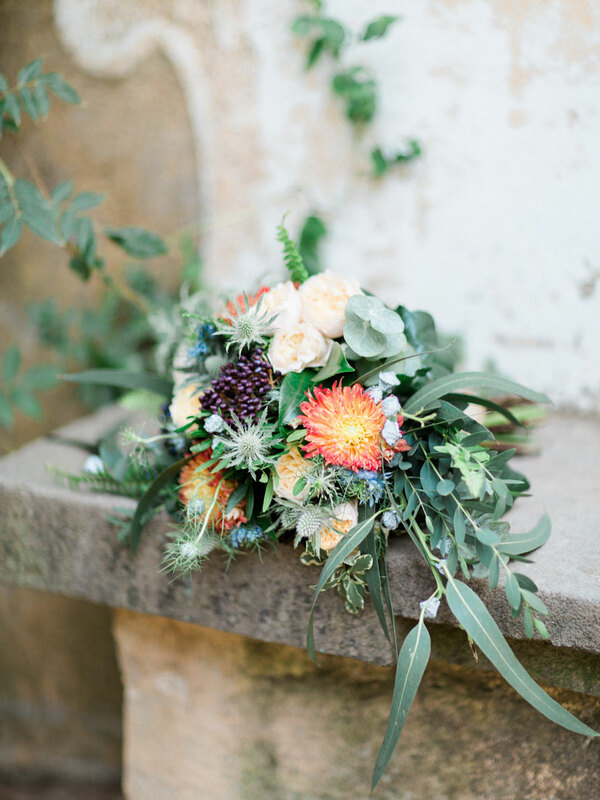 To celebrate this glorious season, we’re highlighting a few common wedding flowers and what they mean. Flowers symbolize a variety of emotions including happiness, jealousy, faithfulness, and even death. This is why when Princess Kate tied the knot back in 2011, she very carefully selected the flowers for her bridal bouquet. 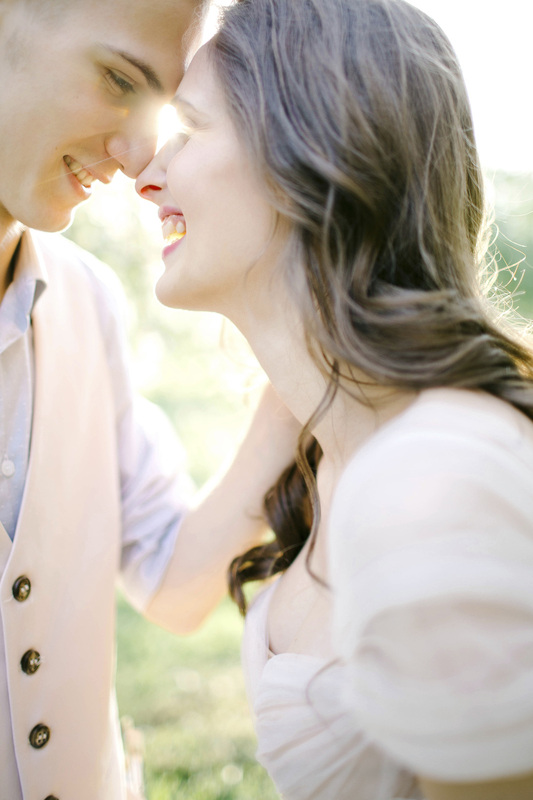 Want every aspect of your wedding to be personal, meaningful, and romantic? Read on to find a flower that is right for you—use it in your bouquet, centerpieces, and décor! This fragrant, tiny white blossom is often used by florists. Why? It smells great and makes an inexpensive, delicate filler. This little flower symbolizes innocence and long-lasting love. Some brides wear it in a bohemian floral crown, or bestow this charming blossom upon their flower girls. If you’ve ever watched a wedding movie, you’ve seen peonies. These extravagant, lavish flowers are packed with petals and associated with prosperity, beauty, and bashfulness. A bridal favorite, peonies are available in many colors including blush pink and white. Don’t forget your something blue! These small, clustered flowers are named for the story of a knight who, just before drowning, implored his love to forget me not. These pretty little blossoms incorporate a splash of traditional blue into your ensemble and can symbolize remembrance. Roses are red… or purple, ivory, pink, crimson, orange, or even striped! This flower symbolizes love, first and foremost, and is an obvious choice for any wedding bouquet. Pick a color based on what you’d like to express—red for passion, white for new beginnings, or pink for admiration, just to name a few! Looking at an exotic, breezy beach for your wedding or vow renewal? Orchids have long been a favorite of brides marrying in tropical zones and are available in a myriad varieties and colors. This lovely flower symbolizes love, beauty, fertility, and refinement. Ranunculus adds dramatic color and texture to your bouquet. This flower symbolizes radiant charm and attractiveness. Due to its layered petals, this lovely bloom provides a cost-effective but similar look to roses and peonies. White, yellow, or pink varieties are most commonly used for weddings. Brides traditionally carry stephanotis in their bouquets to symbolize marital bliss! These petite, star-shaped blooms are white and fragrant. They are best mixed in with other florals, since they are so small, and add heartfelt meaning to your wedding day. 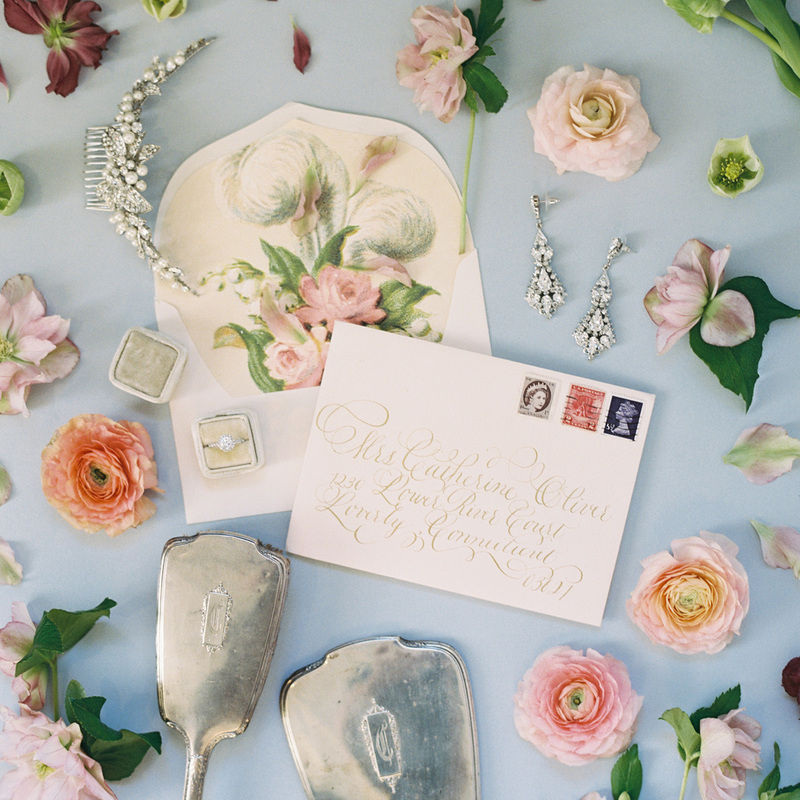 When it comes to romance, spring weddings take the cake! Abundant flowers, softly draped tulle, lush centerpieces, flickering candles, and the natural beauty of the outdoors set the stage for gorgeous weddings. Just as your venue can be styled to create a romantic ambiance, your bridal ensemble adds to your overall mood and theme. 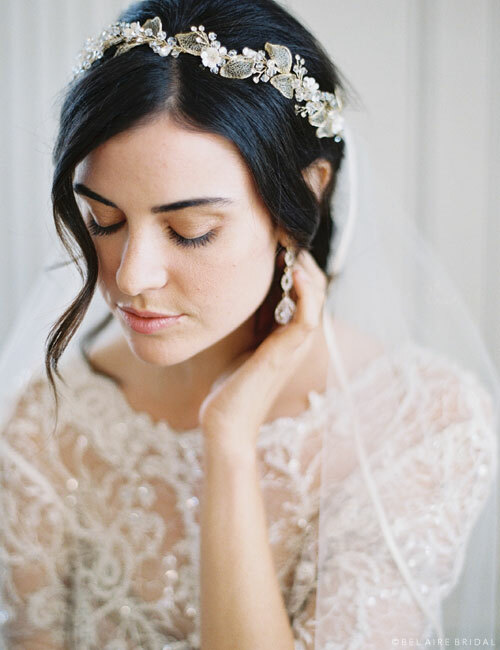 Pretty pearls, glittering hair vines, blush combs, and flower crowns are staples of the romantic bride. Do you know which accessories are right for you? 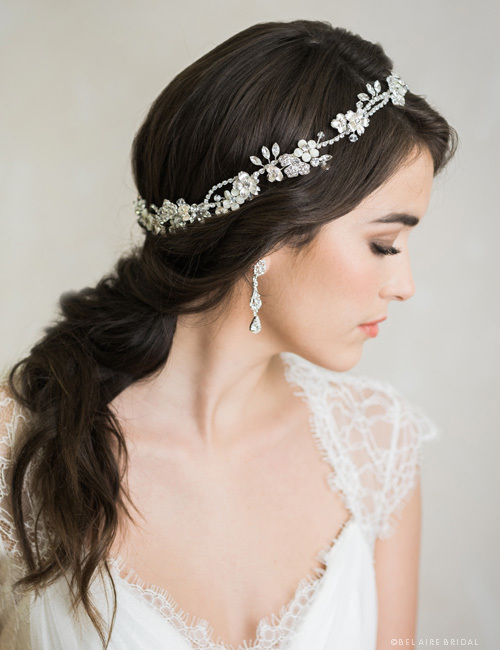 Take a peek at our newest headpieces and find your favorites! Try them on in a bridal salon near you, and create the perfect outfit for your big day. Gilded, curling vines bejeweled with rhinestones and pearls create a gorgeous, nature-inspired clip. This lovely accent is easily slips into an updo and beautifully complements a feminine ensemble. It is available in gold, rose gold, or silver to match with your other accessories. Evoke soft romance with an everlasting rose in full bloom. Delicate organza petals surrounded by intricately beaded sprigs and beautifully crocheted lace create an easy-wear bridal accent. Available in ivory or blush, this perfectly pretty accessory enhances an ensemble featuring lace or flower accents. 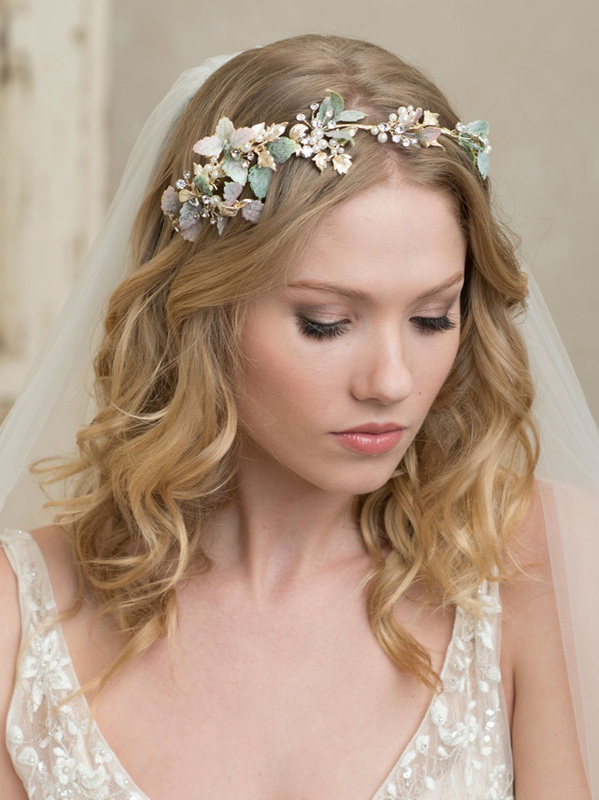 Glittering like flowers dressed in dew, this nature-inspired headpiece bestows your hair with instant charm. 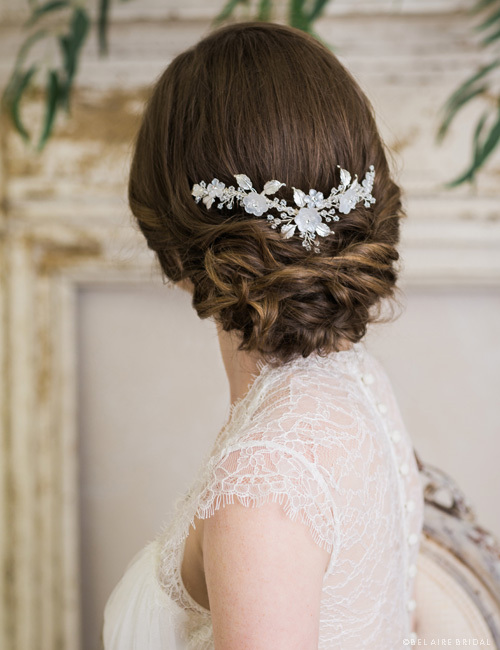 Metallic leaves, frosted flowers, and crystal sprays on two combs may be styled in a chignon or side updo. 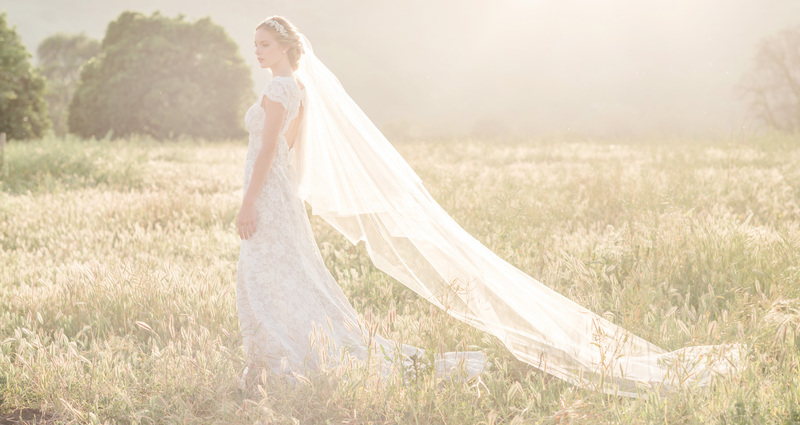 Add a dramatic veil to complete an ethereal, romantic outfit. Hello, beauty! 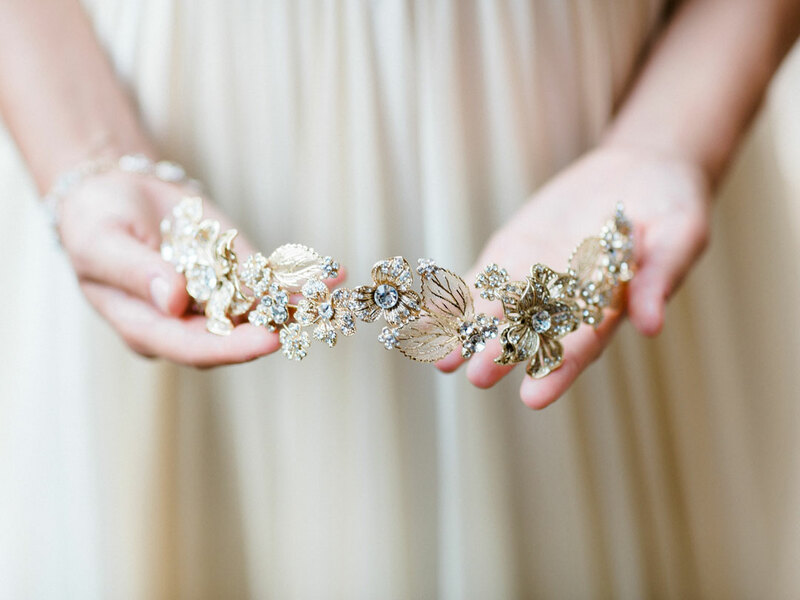 This radiant halo incorporates silver rhinestones and petite metallic flowers in a graceful design. Wear it above or beneath a veil for a more bohemian look, or style it with loose waves for a completely romantic style. 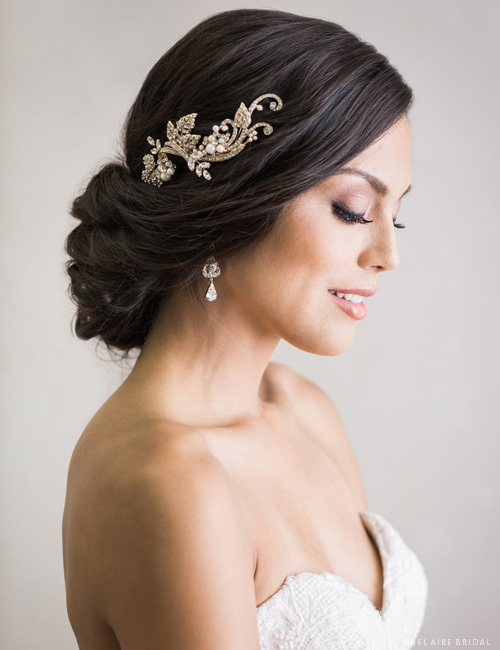 This silver headpiece pairs beautifully with glittering rhinestone jewelry. Style a beautiful boho-luxe look with a floral tie headband. Delicate mesh leaves and tiny porcelain flowers create an everlasting band that will never wilt. Clear crystals add luminous sparkle to this lovely accessory. Available with gold or silver leaves, this dreamy design can even be styled as a belt. Want to see more? Browse our Spring 2017 collection for all kinds of romantic bridal accessories. Follow us on Instagram for styling ideas! New year, new things! We are so excited that our Spring 2017 collection is hitting bridal salons, so we want to take a minute and share our favorite bits of pretty. Visit our Store Locator and get everything you need at a retailer near you. Gold and glamorous, a lovely linked halo shimmers with rhinestones and lustrous metallic filigree. Also available in silver, this nature-inspired design beautifully channels the grace and romance of flowers. Wear it alone as a boho-chic accent, or pair it with a veil for an ethereal ensemble. Eternally in bloom, this beautiful Venise lace clip makes the perfect bridal accessory. 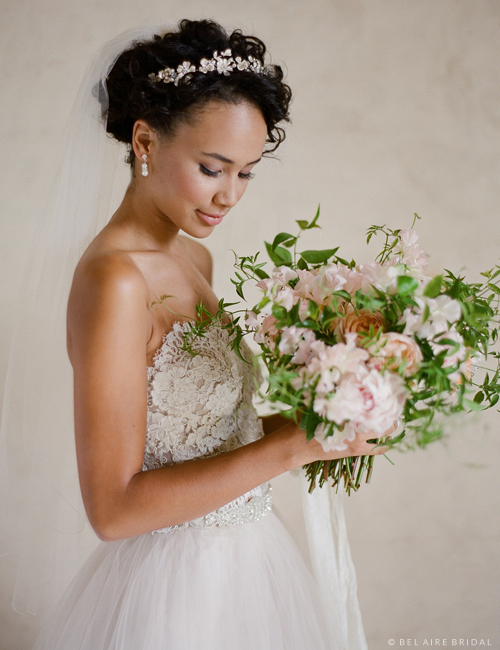 Romantic blush pink petals and tiny rhinestone accents grace a cluster of gorgeous lace. Clip it on the side or in the back for a blissful accent. 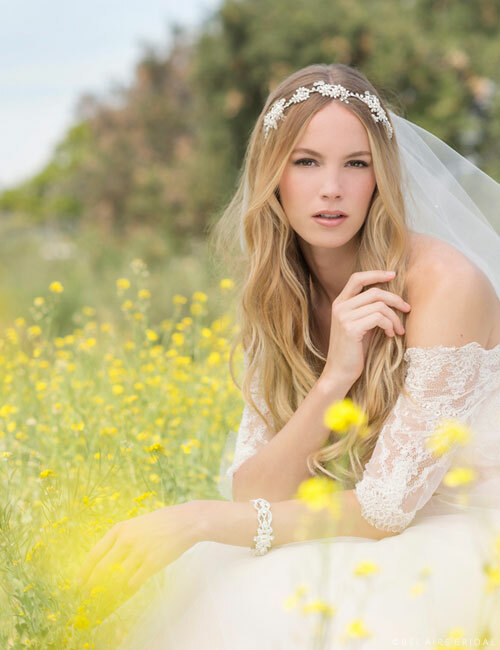 Add a lace veil to complete your look. Sparkling like young blooms covered in dew, this flexible floral headpiece shimmers with unforgettable beauty. 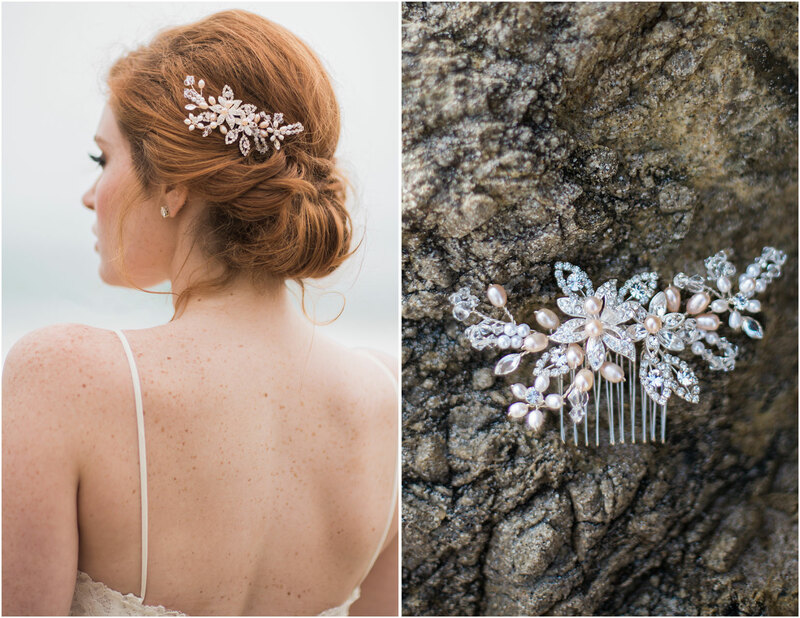 This lovely, nature-inspired design secures on two combs and easily nestles into the back of a chignon or partial updo for graceful bridal romance. For an easy-to-wear accent, this gorgeous flower-studded headband delivers. Textured metallic flowers, sparkling rhinestones and lustrous pearls decorate this lovely adornment with sweet charm. This design beautifully accents a lace or floral gown. Boho-chic and utterly beautiful, this delicate piece graces your hair with light beauty. Tiny pearl and rhinestone flowers glisten on a weaving design for an effortless, utterly romantic accent. Pair this tie headband with a veil for a formal look, or wear it alone for the reception. Love what you see? Head on over to our Spring 2017 Collection for more beautiful bridal treasures, and discover the perfect design for your special day! Do you have goals for the New Year? 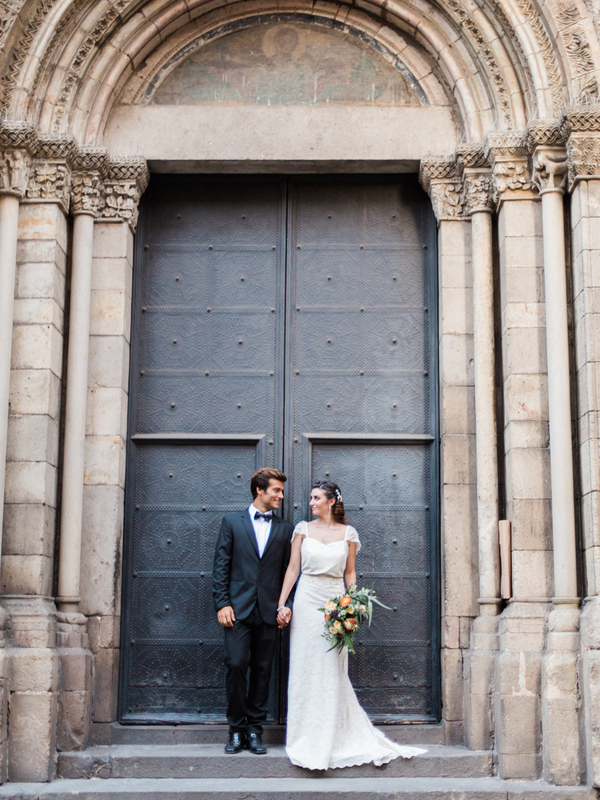 If you’re getting married, you should be making—and keeping—these six resolutions. 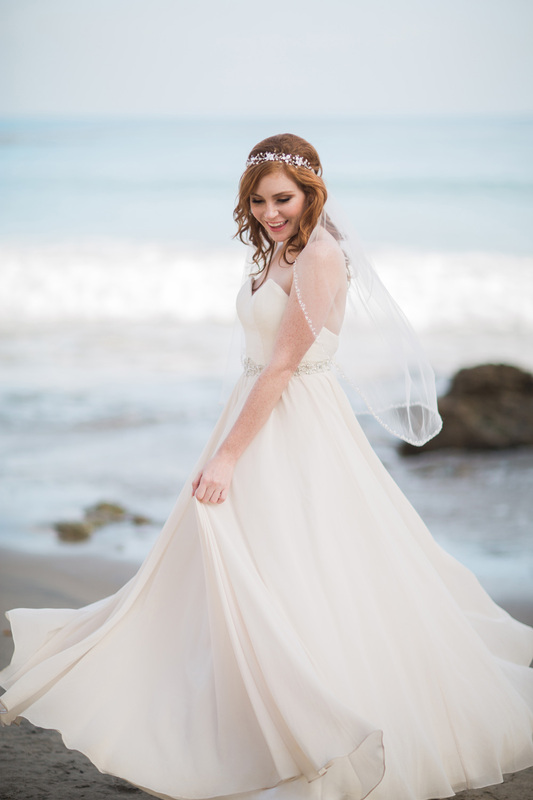 Once you have received your gown, you should have a fitting appointment. It’s important to try your dress on before and after alterations to ensure a proper fit. Try it on at home, too—just to make sure the undergarments are comfortable (or at least working) with the dress. Take care that your gown is stored properly before the big day, and ask your MOH or MOB to carry spare pins and/or thread, just in case all that dancing pops a zipper or seam. Have fun choosing a look that goes with your personality and theme! 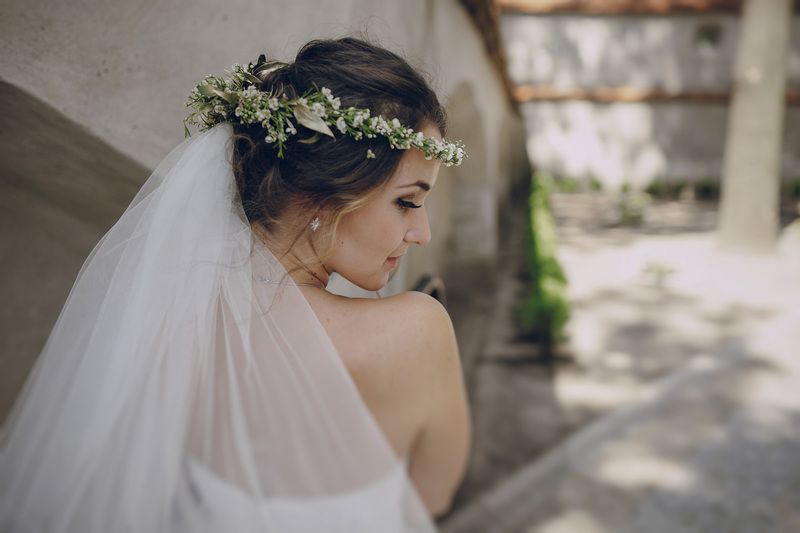 From sparkly hair jewelry to glittering headbands, your accessories complete your look and make the wedding feel like yours. Prep your bridal ensemble with a small case of everything you’ll wear—including shoes, combs, pins, jewelry, the veil, garters, etc. Bring emergency toiletries and extra makeup. Hang your veil 2–3 days ahead so any wrinkles will fall out (do not iron it) and bring a cute shawl or sweater for the evening. In the middle of wedding planning, remember that your wedding is essentially a celebration of love. 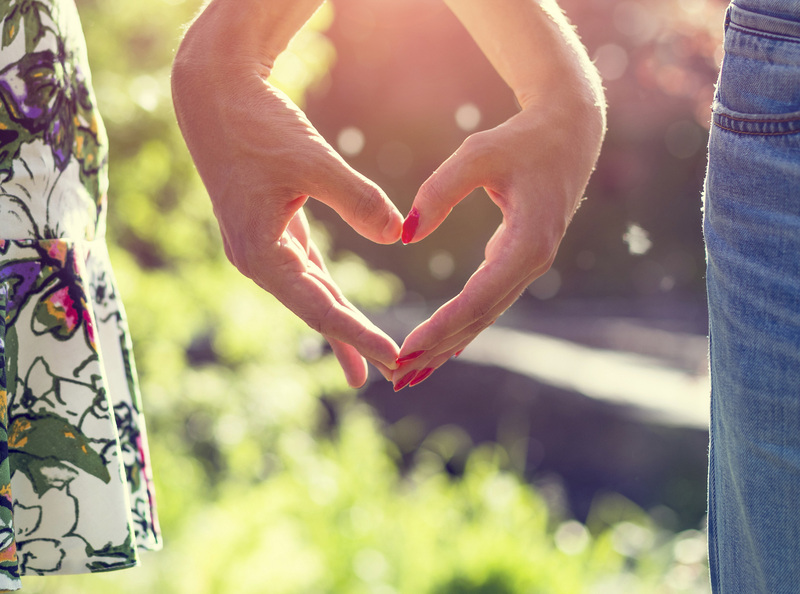 Connect with your fiancé and stay happy—do things to alleviate stress! If planning the wedding puts a strain on your relationship, examine what you could be doing better. Learn how to best communicate, and appreciate each other’s strengths and weaknesses throughout the process. Even if nothing goes as planned, so long as you marry the person you love, everything has worked out fine. Plenty of brides start a fitness routine or diet to prep for the big day, but how many actually stick with it—or can maintain the results? Wellness is about practicing healthy habits that will keep you physically and mentally fit. Balance your life, do exercise that you’ll enjoy, avoid crash diets, and celebrate your progress. Incorporate positive changes that will make you a happier and healthier person as a whole—so when you walk down the aisle, you’ll be looking and feeling your best. Many people only get married once—if at all. You’re in the wonderful position of knowing that your partner is committing to a lifetime with you. Cherish this time and enjoy being engaged! Celebrate with all the cheesy bridal traditions that you like. Go to parties. Take selfies with your ring. Plan an engagement photo shoot. Talk about your future together. Try on white dresses. Obsess over flowers and all things sparkly! You’re the bride, and this is your moment. 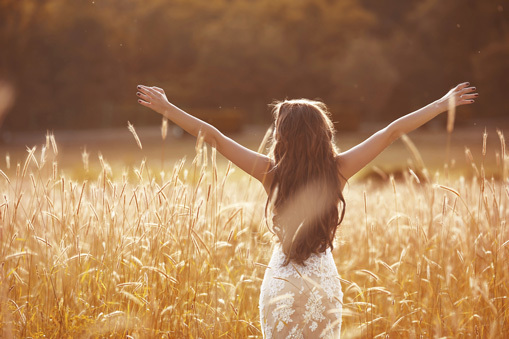 What is more important: planning your dream wedding, or laying the foundation for a happy life? We’ve all heard stories of women who are so demanding that even their best friends no longer want to stick around. So if you feel unsupported or stressed, take a deep breath and try a new approach. Be gracious and flexible. Appreciate others. Spend some time with friends without talking about the wedding. This event only lasts a day or weekend; your family and friends are forever. Planning your wedding? Follow us on Instagram for bridal styling updates. Check out our Pinterest boards for inspiration, too! Looking for something really stunning for your wedding day? Your veil is the perfect opportunity to add unique beauty to your outfit. 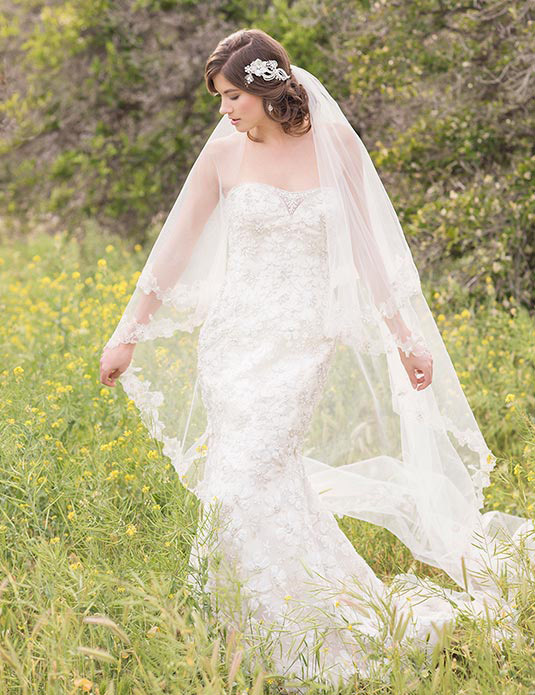 An embroidered veil combines the romance of twirling floral patterns and elegance of scrolling Old World designs. Seriously, there’s nothing quite like shimmering silver or gold embroidery (complete with twinkling beads or sequins) to make you feel like royalty! 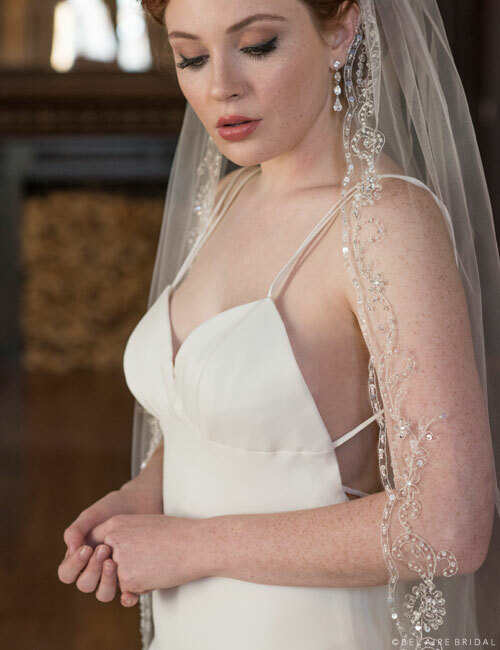 Check out six of our wonderfully embroidered veils, and discover your perfect match. Ready to get swept away? This gorgeous 1-tier fingertip veil features beautiful floral embroidery along a fancy scalloped edge. 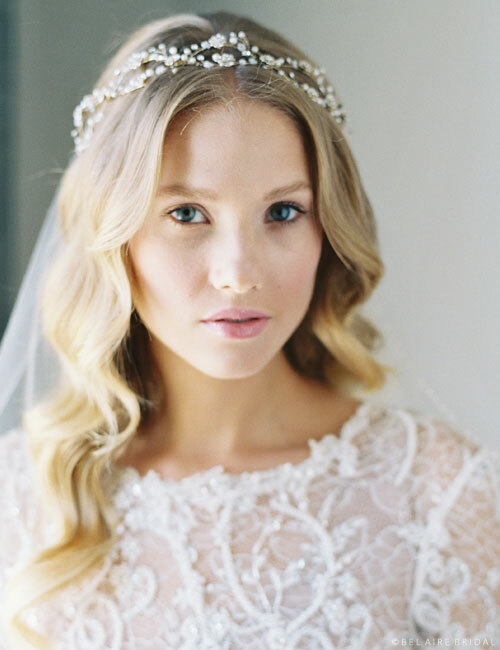 Totally striking, this rhinestone-dotted veil sparkles with regal beauty. Match it with a glittering floral comb or a sparkling tiara to personalize your look; the embroidered detail is available in either gold or silver to perfectly match your ensemble. 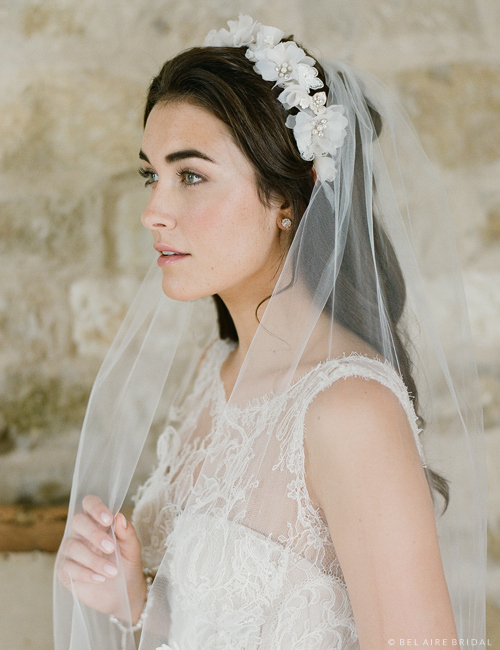 You can get this veil in champagne, ivory, diamond white, or white—and in cathedral length, too! 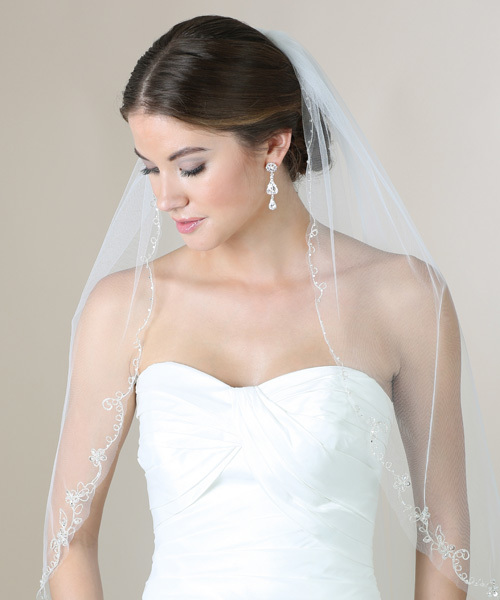 Sparkling, silver beaded and embroidered swirls and flowers adorn the edge of this lovely veil. Classic with a hint of romance, this 1-tier veil features a silver rolled edge and vintage-inspired beadwork that beautifully complements embellished gowns. With the Victoriana trend in full swing, this shimmering design dazzles us with its dreamy detail. Add a gilded headpiece or intricately beaded belt to complete your look. This style is available in ivory or white in fingertip and cathedral lengths. Get in touch with your botanical side. 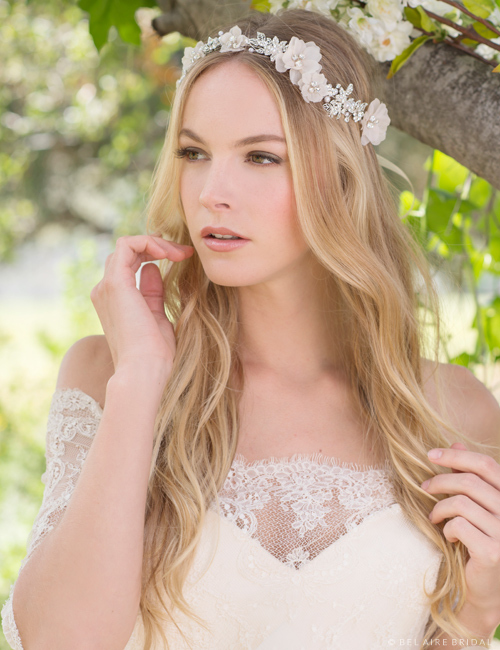 This gorgeous 1-tier fingertip veil celebrates bohemian beauty with an elegant twist. Shimmering silver embroidery starts with slender curls at the top and blooms into a more intricate design along the curve. Tiny sequins and beads add slight shimmer. 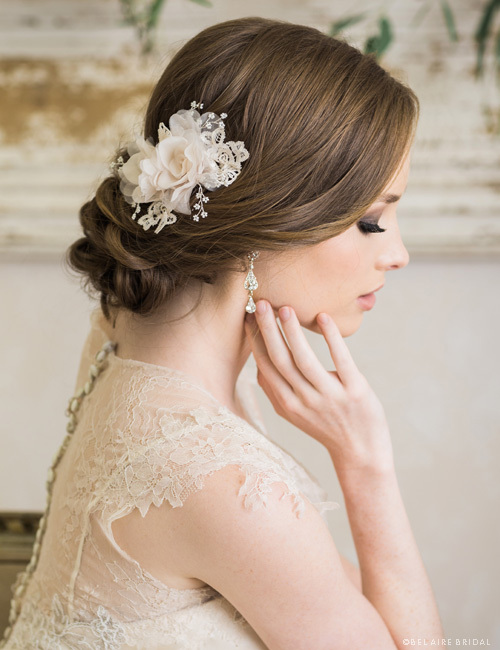 We see this design paired with an overflowing bouquet and a romantic flower comb, or perhaps tiny floral hair pins. This style is available in diamond white, ivory, or white and also comes in cathedral length. 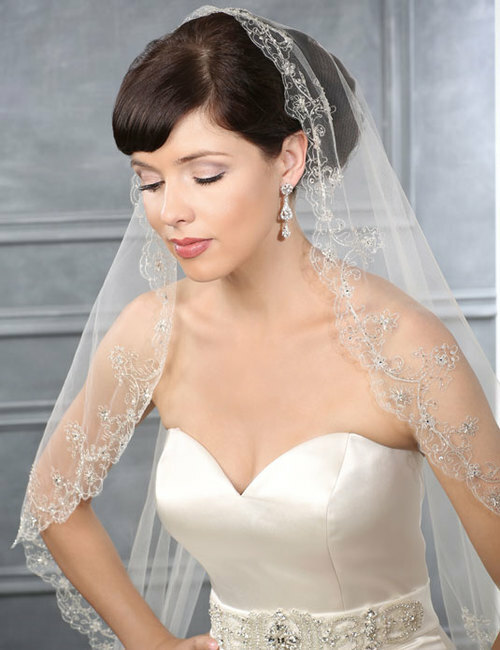 Our most popular cathedral veil, this brilliantly beaded masterpiece is sure to turn heads. A romantic, scalloped and beaded edge glitters with tiny rhinestones for a simply breathtaking bridal statement. Not for the faint of heart, this future heirloom glitters with gorgeous silver detail. This design is now available in blush, champagne, diamond white, ivory, or white. We can also add a matching blusher. Want it longer than 108”? Ask our customer service team for availability! Get ready to swoon. 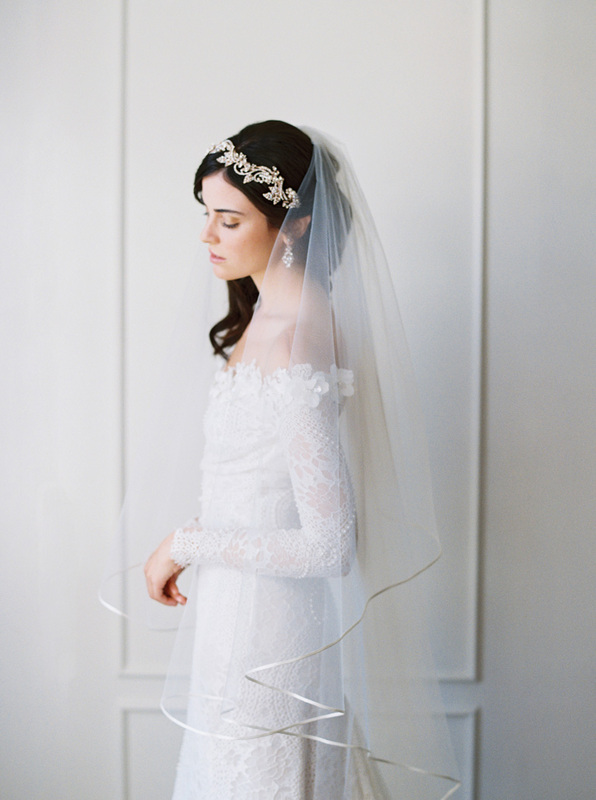 Utterly captivating, this modern take on the traditional mantilla is simply stunning. A beautiful scalloped edge gracefully drifts down your silhouette, adorned with opulent silver embroidery and tiny beaded accents. This head-to-foot masterpiece embellishes your ensemble with glamour and romance. Pair it with dramatic earrings or a sparkling bracelet to finish off your look. This design is offered in fingertip or cathedral lengths in diamond white, ivory, or white. Have your cake and eat it, too! This one’s got it all: tiny pearls, shimmering beads and sequins, glittering rhinestones, and gilded embroidery. 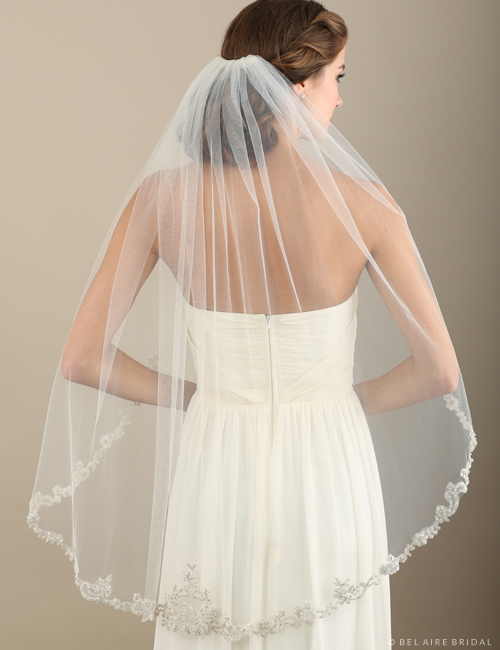 Decadent from head to foot, this gorgeous cathedral veil adds dramatic sparkle to your whole ensemble. Available in fingertip and cathedral lengths, in ivory or white, this silver embroidered design is truly fit for a formal wedding. Wear classic pearls or glamorous rhinestones—express your personal style by adding special accessories for a completely unique look. Can’t get enough? Check out our cathedral veils and embroidered veils for even more options. Follow us on Instagram for daily style ideas!